We are a mission driven, for-profit organization. Unfortunately, we need to make some money to survive in our modern world, but we want to do so with the utmost respect and thoughtfulness for the planet and our future. To design, build, and supply low-impact, perennial and functional structures for future generations based in permaculture and ecological design while providing education, consulting and fostering community awareness. Permasystems is about making permanent systems for all! From water, to food to buildings - we want to thrive into the future using tools based in permaculture and ecological design. Design with the future in mind! Chris giving an educational program. After searching far and wide for a path in permaculture, Chris Meador decided to put his roots down by creating Permasystems in 2014. 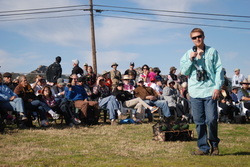 Chris' background in natural history and ecology was the perfect foundation for pursuing a life in this field. As a common thread throughout his life, permaculture provided an avenue for creating a world in balance with nature, something Chris thinks we are in dire need of. Chris has worked for most of his professional life as a wildlife ecologist and most recently as the Assistant Director of an environmental non-profit whose mission was to conduct wildlife research, education and conservation. 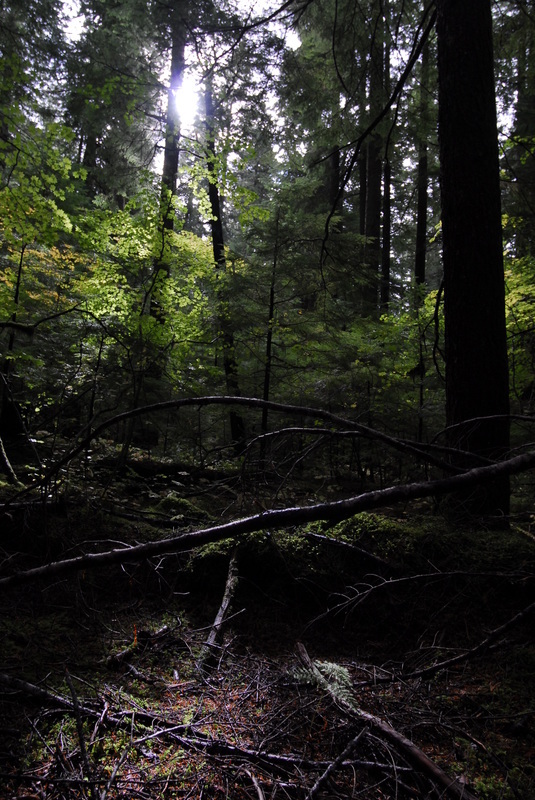 After leaving the organization Chris set out to learn as much as he could about permaculture. After many classes and workshops Chris knew his passion lay in the world of water. Growing up in San Diego County, an dryland area with low rainfall and blatant water wasting, Chris saw room for much needed improvement. This is where the idea for Permasystems came in. Permasystems would provide creative products, education and conservation for all! Chris holds rainwater harvesting certifications from both the Watershed Management Group (WMG), and the American Rainwater Catchment Systems Association (ARCSA). He has a bachelor's degree in ecology and has completed numerous additional courses in ecological design and permaculture. 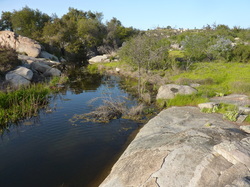 Ramona education and demonstration site. Permasystems' design and manufacturing shop is located in beautiful Ramona, CA (San Diego County). The land the shop sits on is also an evolving permaculture demonstration, education and farm site. Through the use of many tools and techniques, the land is being transformed back into a robust regenerative system. Good things take time, our soil building, earthworks, rainwater harvesting and food systems are coming along strong. We look forward to sharing our learnings with you! We are fortunate to live in the most biologically diverse county in the country, San Diego County. That means we have the special opportunity to grow all kinds of amazing plants and live among a vast array of fascinating animals. We also need to be mindful with our low levels of rainfall, making it even more pressing to look to permaculture to create a life for ourselves and others that will thrive far into the future. We design our products and our lives with the future in mind. 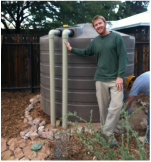 Chris after installing a rainwater harvesting system for one of his certifications.